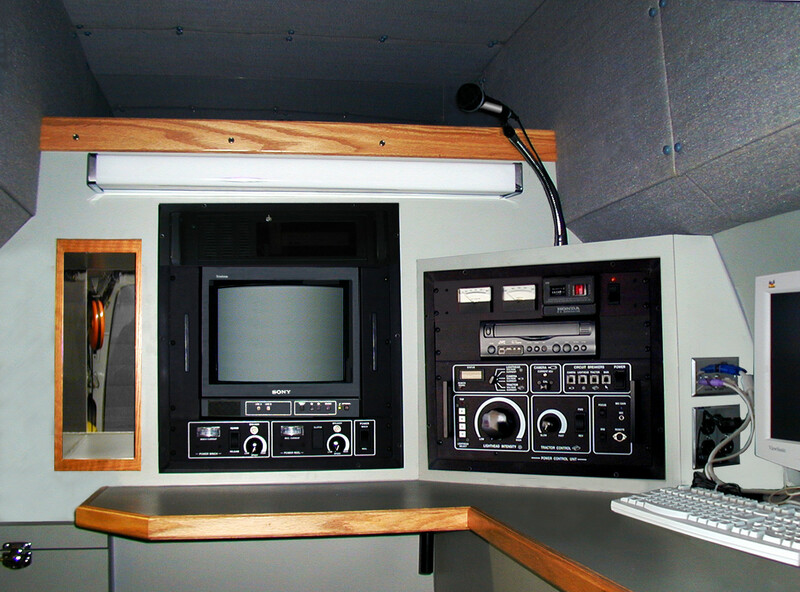 If you want a new pipeline televising truck but are on a budget, then the UEMSI/HTV® Kit System™ is for you. UEMSI/HTV will supply the major electrical and mechanical components, while you provide the vehicle, cabinetry and labor. To put it mildly, your operating expenses will greatly reduce and your cost savings will be significant. The Kit System was designed with your specific needs in mind. The standard package consists of a power control unit, mainline reel with 1,000' of cable and controller, zoom pan & tilt camera, Trax Jr. tractor and much more. This package can also be customized with more or less equipment to fit your own application. Available options include the Prowler™ wheeled transporter for televising large pipe, and longer lengths of video cable. If you have a generator capable of putting out 2,600 watts of power, and the space needed for both an equipment and control room, the Kit System is the best buy on the market for your needs. For more information, call a UEMSI/HTV representative near you.